The cat is away, so this little mouse is going to play! Starting today through Sunday the 26th you can get 10% off of your entire order. If it’s something that you can’t order online give us a call and mention the discount. There is no limit as to how much you can buy. Want to pay for a year of marketing? Go in and order 12 and get 10% off the year. What to order a second year of the slide show? Go in and apply the code to your purchase and get 10% off the next year. Want to order hardware? Call us and mention the code and we’ll give you the discount. You can reach this mouse (Eve) at eve@realtourvision.com or 231-947-0687. Note: Any purchase involving memberships or subscriptions, will be manually adjusted to reflect your purchase. You will not be charged again until your current purchase expires. This offer is good for new purchases only and cannot be combined with any other offers. New RTV HD Slideshow ROCKS! 360imagemedia.com, producer of Wisconsin Virtual Tours, is pleased to announce the launch of our new High Definition Slideshow. This thing is truly an unbelievable new product that you must see to believe. 360 Image Media, and our partners at Real Tour Vision, have really knocked this one out of the park. You can get this as a upgrade to your already beautiful HD Virtual tour for only a small charge, or you can get this as a standalone slideshow for your listing. Real Tour Vision has pulled all the stops to make this the absolute best slideshow product on the market today. Not only do you get unbelievable high quality images and fullscreen viewer, you will get blazing fast load times. It can be customized to match your color scheme as well as integrated fully into your existing 360 Image Media Virtual Tour. Plus it has google maps integrated, and you can now embed You Tube video onto the slideshow as well. Wisconsin Virtual Tours and Real Tour Vision continue to dominate the virtual tour and property marketing industry. So don’t get left behind when it comes to your property marketing needs, get on board and get a HD Slideshow today. You can also check out a few samples for yourself here. Today RTV launched our brand new Flash Based High Definition (HD) Slide Show Player as a FREE add on to any existing RTV Hosted Interactive Virtual Tour. View Sample HD Slide Shows now! Later next week the Stand-Alone HD Slide Show Module will be released allowing all RTV virtual tour providers the ability to create slide shows independently of their V-Tours for a small fee much less than that of a virtual tour credit. Many of the original RTV Virtual Tour Providers remember the very first RTV slide show 1.0 from five years ago. It did the job, but the time for a complete overhaul of the player was imminent. The new technology allows for a much easier expansion and adoption of enhancements and is quite elegant looking in appearance. Download our instructions right here and see how easy it is to make an HD RTV Slide Show! Within one hour of the HD Slide Show being launched, over 100 brand new slide shows were created. The new slide show uses a very simple, user friendly slide show creator which automatically pulls images directly from the interactive 360 virtual tour. The interface is so user friendly that everyone already knows how to use it even though they’ve never actually used it before. Finally the new RTV Batch Uploader allows all RTV virtual tour providers to batch upload any number of HD images to their slide show at once rather than having to select the images individually. The auto scaler and sizer built into the system re-sizes and scales the images for fastest load time. Best of all, the new HD Slide Show player will display panos from the 360 virtual tour, play an embedded video file, track hits, can be shared on social sites and with friends, and tracks hits. A very big thanks for those of you who have given us your continued support and business over the years. We love returning the favor in being able to offer you continual new technology, enhancements, talk shows, virtual tour leads, and of course an ever growing supply of national account dispatches. Perfect Images introduces Wedding and Event Slideshows. Do you have family members, friends from far away that are unable to attend your wedding? An online wedding slideshow is the best way to let them enjoy your wedding without having to be present. What do we do? We take your wedding photos; we pick the best photos of your wedding and create a slideshow. This slideshow virtual tour is a link you can email, download to a disc or put in your MySpace, Facebook or personal website for all to enjoy. Perfect Images Event Slideshows is a perfect gift for your guests present and away. The reality is that we can do this with any special occasion like Sports games, sweat sixteens, baptisms, Bar Mitzvah, Graduations, Christmas, Easter, Etc. The link is good for one year, and we can personalize it with your personal information, city and even maps. Here is an example of a variety of wedding pictures. 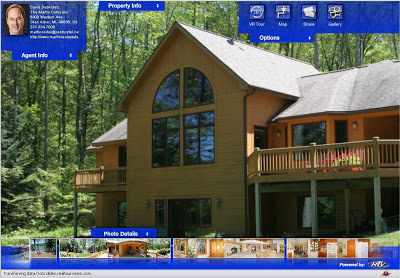 Business owners and real estate agents can also use event slideshows to promote themselves. Imagine going to a party, barbecue, wedding, little league game, any occasion or event where you can take pictures, have us create a slideshow for you, with all your information, logo and banners and you can email, download it to a disc and give as a present to all the people present in the event as a courtesy from you. What a better way of promoting yourself and your business and the only thing you have to do is take the pictures and send them to us! Perfect Images could not implement these ideas without the support of a great company like RTV. Because of their great customer service and always being up to date with the latest technology, we can give back to our customers the same excellent service. The other day, I sent a completed virtual tour to Realtor.com for one of my clients. I make it a regular part of my service to always verify the virtual tour has successfully loaded before I send agents the final tour email with the tour links and copies of the stills. When I went to Realtor.com to do the verification, I came across another agent’s listing which was located in one of the neighborhoods I photograph quite regularly. It caught my eye and so I couldn’t resist ‘checking out the competition’ and view the virtual tour that had been created for that listing. Much to my amusement, it turned out to be a slide show that the listing agent had created on their own and loaded as a ‘virtual tour’. And not just any quickly thrown together slide show – this one advertised in scrolling text that it contained 112 pictures! I just had to see this. In today’s saturated and highly competitive market, where over 80% of buyers are using the internet to screen/filter for homes they want to see in person, I was curious to see how a single 4/4 home could need 112 pictures to pique a prospective buyer’s interest. And even more curious to see how a slide show of this size could hold their interest. To give you a sense of the ‘virtual tour’ this agent created, I consolidated some of the stills (unaltered in any way) below as a sample. 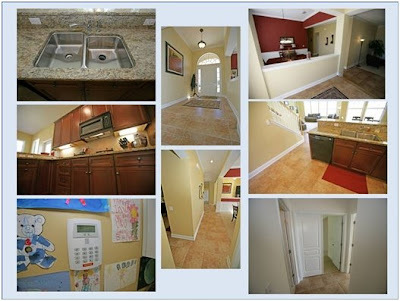 At Ad Vantage Virtual Tours, we don’t believe that it’s the QUANTITY of photos that matter. Instead, we believe that QUALITY marketing begins with QUALITY photography. It pays to invest in a professional photographer who is skilled in real estate photography and knows how to capture and showcase a home’s best features. – Use only experienced photographers who are skilled at selecting, composing and editing real estate stills to showcase a home’s best features and avoid such things as distracting blown out windows, converging vertical walls, etc.